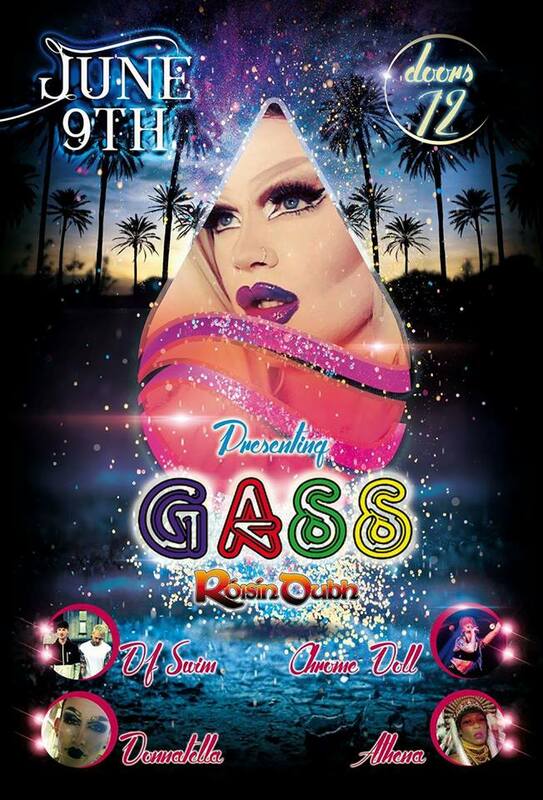 It’s all happening at Club GASS in Galway tonight, Friday June 9th! Make way for another great Club GASS night at the Róisín Dubh. The hostess tonight is the wonderful Kiki, and providing the entertainment will be Chrome Doll, Donnatella and Athena. DJ Swim will be turning the tables with some great sounds. The venue is the Róisín Dubh, Dominick Street in Galway, and tonight promises to be another great club night, so don’t miss it!